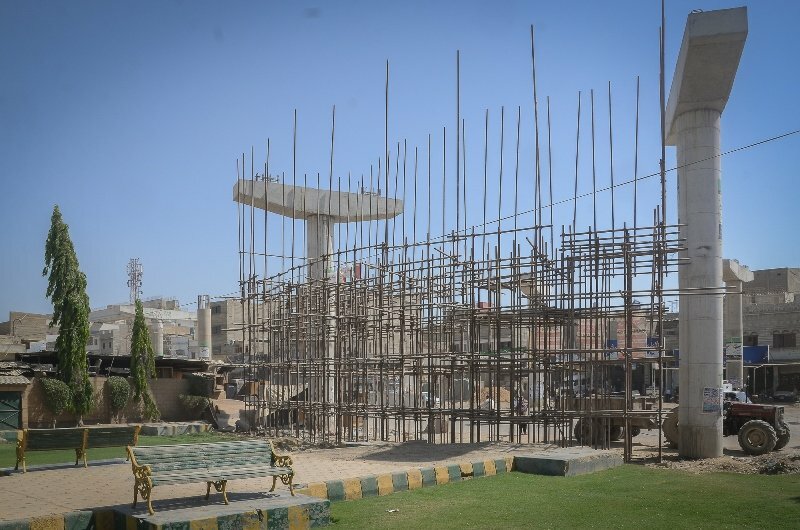 KARACHI: In a metropolis where public transport is synonymous with obsolete buses, a highly-touted rapid transit project has remained dogged by delays since it was unveiled in 2016. 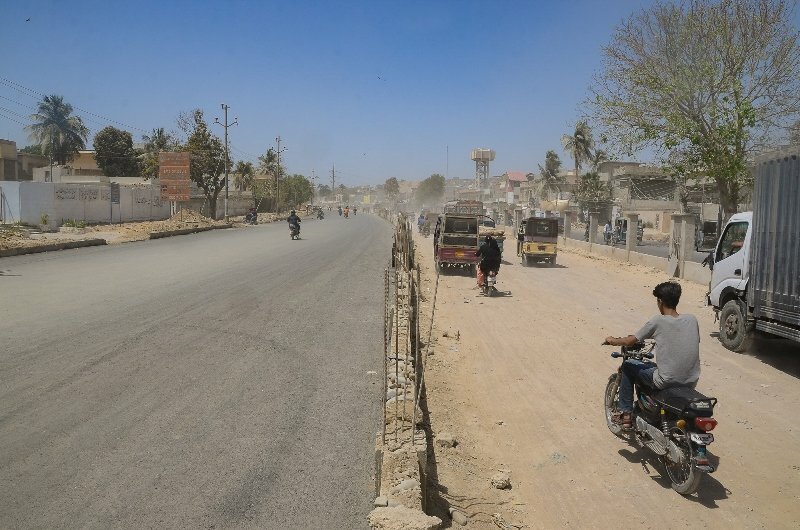 The Abdul Sattar Edhi Bus Line, formerly the Orange Line, extends four kilometres from Orangi Town’s Town Municipal Authority (TMA) office to the Matric Board intersection. 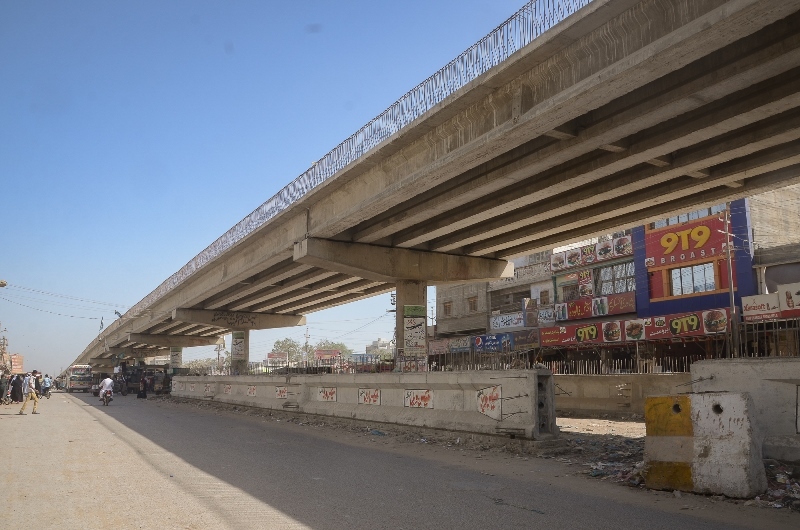 Buses will travel on a 700-metre elevated track from the TMA office to Al Khidmat Hospital and 1.6km from Abdullah Government College for Women to Jinnah Women University. A 1.5km-long section of the Bacha Khan Flyover will be used along with normal traffic. Pedestrian bridges and stations will be constructed near the TMA office, Al Khidmat Hospital, Abdullah Government College for Women and Jinnah Women University. Green Line BRT pedestrian bridges will be used at another two stations near the KFC outlets. Progress on the project has effectively halted at 60%. The project was originally slated for a June, 2017 completion. Later, the deadline was revised to May, 2018. Given the poor pace of progress, even the latest deadline seems likely to be missed. Legal tussles, contractor woes and poor inter-authority cooperation are some of the formidable challenges marring the swift execution of the initiative. Shifting water and sewerage pipelines present problems of their own. The already poor flow of traffic on major thoroughfares has been brought to a virtual standstill by the in limbo development work. Compounding problems further is the presence of major educational institutions, private hospitals, graveyards and the State Bank building in the area. Prominent among these are Jinnah Women University, Jinnah Government College for Men, Homeopathic College, Pakistan Polytechnic College, Abdullah Government College for Women, Intermediate and Matric Boards, Aziz Medical Centre, Al Khidmat Hospital, Paposh Nagar and KDA graveyards. Abdullah Government College for Women student Falak Kainat said delayed completion had taken a toll on their lives. We often reach college late. Many have developed breathing problems. Quite a few of our peers struggle to pay attention, she said. She said the government should ensure the project was quickly completed. Speed breakers and zebra crossings would go a long way to alleviating students’ problems, the girl said. She also demanded the construction of a pedestrian bridge following the project’s completion. Iqra, who studies at the Aga Khan College in Pir Colony, said crossing the road in front of the institute was a challenge. The Orangi Town resident said she had to give college a miss several times after work on the project commenced. Now, things are a bit better. However, the poor pace of progress continues to irk residents. Often, passers-by end up sparring, she said. Asif Ahmed, who works at Abdullah Government College for Women, said three people had been injured in traffic accidents. 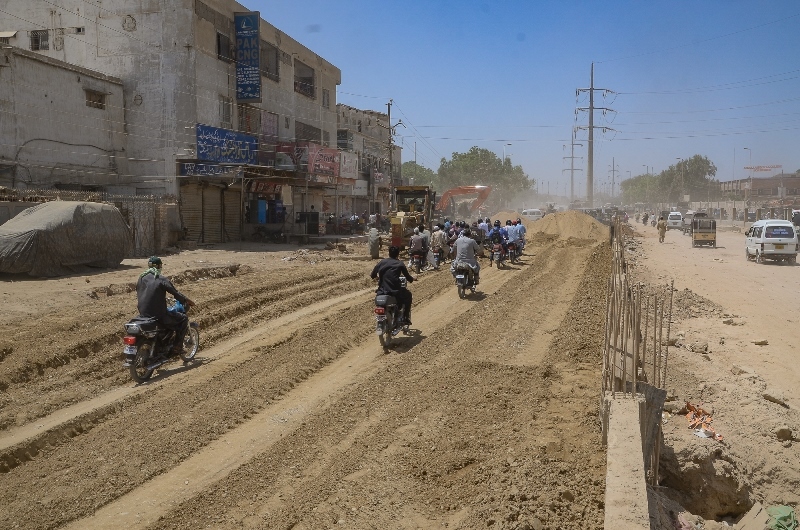 While construction continues on the side of the street, it is not uncommon to see speeding vehicles approaching from the Bacha Khan Flyover. Malik Muhammad Ishaq said poor project progress had hit businesses hard. Ishaq, who runs a milk shop, said the flow of customers had reduced to a trickle. “Traffic is clogged. There is lots of dust. Barely anyone comes here,” he says. “The site should regularly be sprayed with water to curb pollution. The government hasn’t taken any such measures. Respiratory disease and allergies are rampant. Ambulances often remain stuck in traffic,” Al Khidmat Hospital Administrator Laeeq Khan said. The number of patients frequenting the facility has also witnessed a decline, he said. Khan, a former MNA, said the authorities prevaricated when approached regarding the issue. 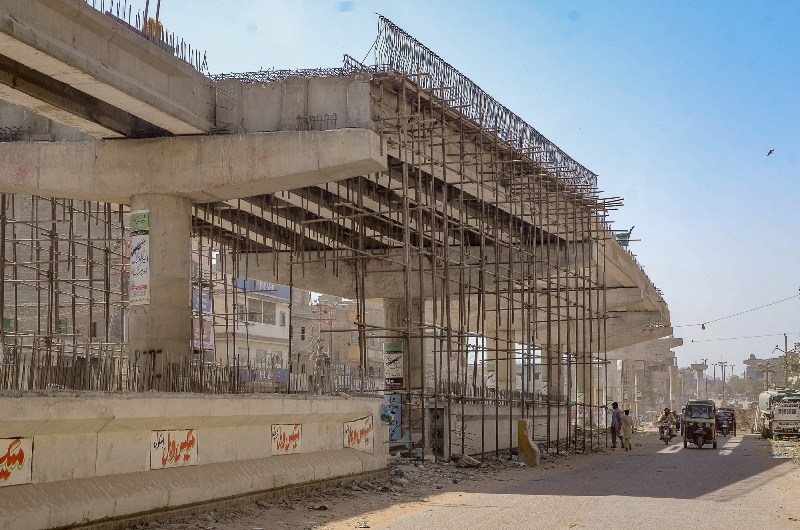 Separately, the construction of an elevated track remains incomplete due to the abysmal state of Sharae Orangi. The thoroughfare lacks carpeting in some areas. Ditches line the area around Abdullah Government College for Women, Orangi 5-3/4 and KFC. Construction of a bus depot is also being undertaken at snail’s pace. Little headway has been made in the face of repeated delays. Abdul Sattar Edhi Bus Line Deputy Project Director Rizwan Ahmed said work on the project was being carried out under two packages. He said two contracts were awarded after tenders had been floated. Ahmed said the project had first been delayed due to some matters then sub judice. The contractors did not fulfill the criteria specified, he said. The project director said the Sindh government had cancelled the award and appointed the second-lowest bidder. He explained that the former had then obtained a stay from the Sindh High Court. A verdict was delivered in the government’s favour, 10 months later, he said. Ahmed also blamed the Karachi Water and Sewerage Board (KWSB) for the delays. Time and again the board asserted that there were no pipelines in the project’s vicinity. They were discovered when excavations started, he said. Other engineers said the board did not have data on minor water and sewerage lines. Superintendent Engineer Zafar Palejo said data on all major water and sewerage pipelines had been provided to engineers working on the project. Separately, a KWSB official told The Express Tribune on the condition of anonymity that a 48-inch water pipeline in the vicinity of Metro Cinema had been leaking. This had affected construction on Sharae Orangi, he said. The official said the board had repaired the pipeline at five points and strengthened it at 27. 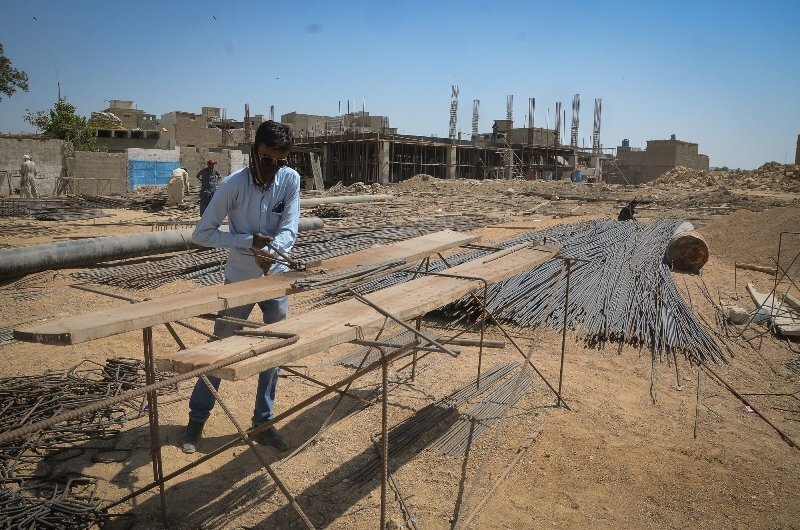 He said the board had asked the Sindh Mass Transit Authority (SMTA) to enclose the structure to ensure it could be repaired in the future without requiring excavations. The official said the board barely had any funds. This, he said, was why the Sindh government and Karachi Metropolitan Corporation shifted water and sewerage pipelines in connection with most development works. The official said the authority had shifted one 33-inch pipeline from the project site to Sharae Orangi. He said the pipeline, which was in good shape, was laid three years ago. The official added that all pertinent information including maps had been shared with those working on the Edhi bus line. 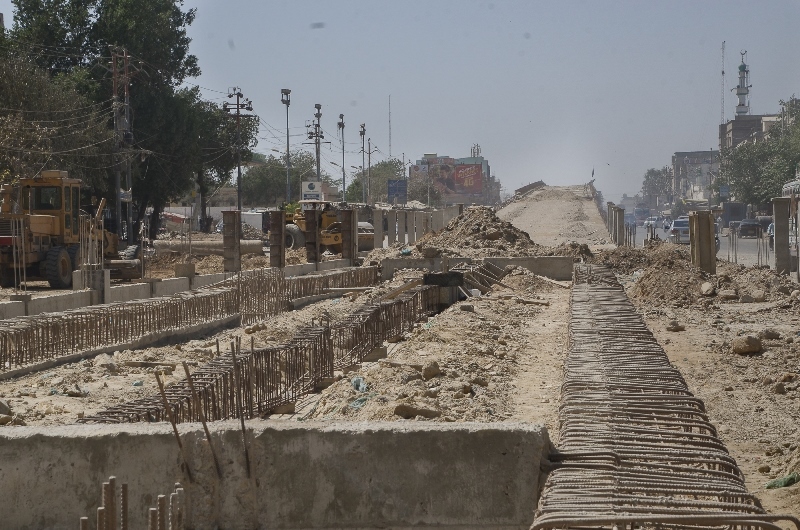 SMTA Managing Director Muhammad Athar said the Sindh government was striving to ensure that Sharae Orangi and the rapid transit corridor were constructed with international standards to facilitate smooth flow of traffic. He said Sharae Orangi was in shambles when the project was initiated. Athar said the project was being constructed in line with American Association of State Highway and Transportation Officials standards. Athar said NESPAK had been tasked with supervising the project. He said contractors had also been directed to hasten the speed of the work. The MD said a private transport company had been awarded the contract to supply buses for the project after it submitted the lowest bid. He said an agreement will be made soon and the vehicles could be imported as early as in four months. Transport Minister Nasir Hussain Shah said he had directed the SMTA to hasten the speed of its work. He said buses would be imported as soon as possible. Shah said every effort was being made to ensure that the project was completed by May 15. Whether this proves to be the case remains to be seen. The bridge is not even complete, yet some degenerate small business owner has painted advertisement on it.